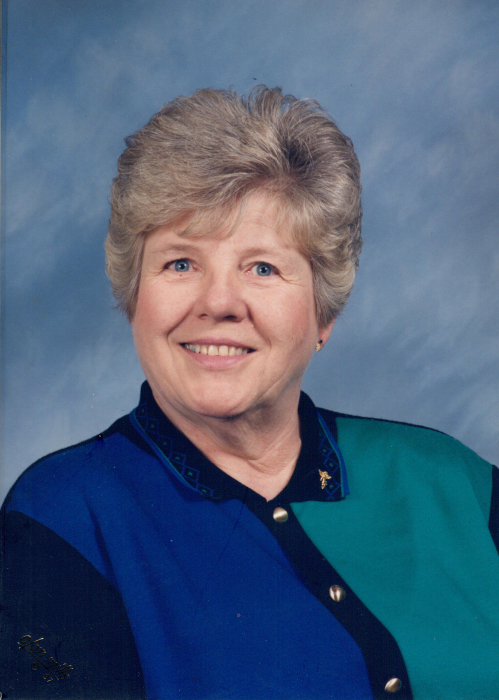 Obituary for Wanda Sewing | McCombs Funeral Home Inc.
Wanda Sewing, age 82, of Friedheim passed away Tuesday, March 26, 2019 in the family homestead, between Friedheim and Old Appleton, where she was born. The youngest of five children, she was born October 11, 1936 to Robert Herman and Lydia Clara Grossheider Sewing. Wanda was a 1955 graduate of Perryville High School. After high school, Wanda was a waitress and cook for Terrace Restaurant in Jackson. She then worked for Ralph Edwards Sportswear in Cape Girardeau and the Jackson Hosiery Mill. In November of 1977, she and her brothers, Floyd Sewing, Nelson “Shorty” Sewing and Wilbert “Wib” Sewing established Sewing Travel Center at the I-55 and Hwy KK exit. They co-owned the restaurant for 30 years, at which time Wanda became known for her delicious pies; making pies was one of her favorite things to do. Wanda was baptized and confirmed at Trinity Lutheran Church in Friedheim where she taught Sunday school for many years and was a life-long member. She enjoyed bowling and was a long-time member of bowling leagues in both Cape Girardeau and Jackson. Loving survivors include a brother, Nelson “Shorty” Sewing of Friedheim; a nephew, Robert L. Sewing of Jackson; four nieces, Paula (David) Altschul of Portland, Oregon, Kay Bolin of Cape Girardeau, Sue (Diana Wolfram) Sewing of Powell, Tennessee and Margie Sewing of Friedheim; great-nieces and great-nephews, Jennifer Altschul, Carole (Mike) Harvell, and Dale (Denise) Bolin; great-great-nieces and great-great nephews, Cameron Moore, Dylan Moore, Nathan Bolin, Taylor Bolin, Kaylie Bolin and Mason Bolin and step-great-great-nephews, Thomas Harvell and Jacob Harvell. She was preceded in death by three siblings, Wilbert (Hunter Jean) Sewing, Floyd Sewing and an infant sister, Dorothy Sewing. 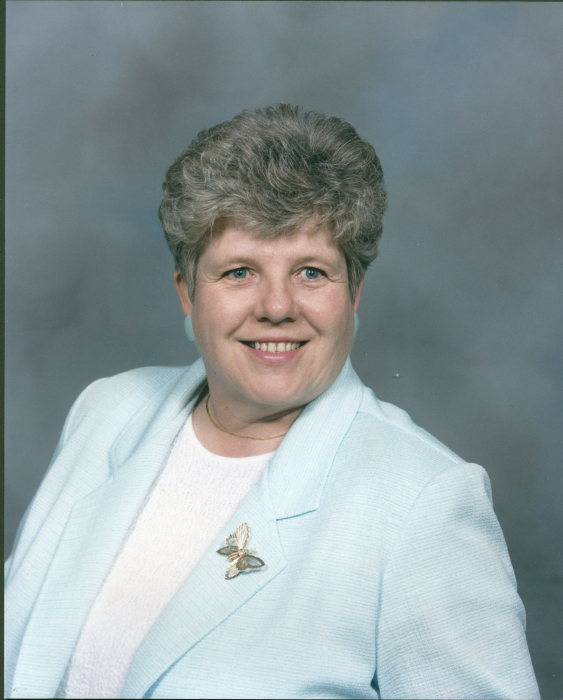 The visitation will be from 4-7 p.m. on Saturday, March 30, 2019 at McCombs Funeral Home and Cremation Center in Jackson and from 1:30 p.m. until service time on Sunday, March 31, 2019 at Trinity Lutheran Church in Friedheim. The funeral service will be at 2:30 p.m. on Sunday at Trinity Lutheran Church, with the Rev. Roger Steinbrueck officiating. Interment will be in Trinity Lutheran Church Cemetery in Friedheim. The family suggests that contributions be made to Trinity Lutheran Church in Friedheim or to Safe Harbor Animal Sanctuary, 359 Cree Lane, Jackson, MO 63755.